The Gujarat High Court has released its Official Notification for the Gujarat High Court Assistant Recruitment 2018 through their official website gujarathighcourt.nic.in. The Gujarat high Court mentions in their Gujarat High Court Recruitment notification pdf that they are presently looking to hire capable individuals for the post of Assistant. Gujarat High Court Recruitment 2018 mentions that there are 767 Assistant Posts available for applicants. All of you aspiring individuals who desire to work in the government sector in the State of Gujarat are requested that you read this article about Gujarat High Court Recruitment 2018 and submit your Gujarat High Court Application Form before the last date 14th July 2018. 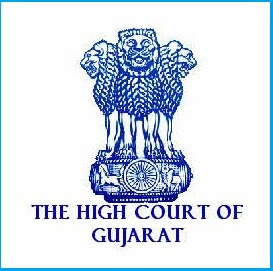 This article contains all the information you need regarding Gujarat high court recruitment 2018 including details regarding the Gujarat High court Eligibility Criteria, Gujarat High Court Assistant Educational Qualification, Gujarat High Court Recruitment Application fees and Gujarat High Court Assistant Recruitment 2018 Application Process. We have also provided links that lead to the official Gujarat High Court Recruitment 2018 notification and the Official Website of Gujarat High Court. So keep on reading this article and avail all the information you need regarding the Gujarat High Court Upcoming Recruitment 2018. All the information regarding the Gujarat High Court recruitment 2018 is provided in the table below. You can find detailed information regarding each category of GHC Assistant Recruitment in further sections of this article. Bachelor’s Degree obtained from any of the Universities or Institutions established or incorporated by or under the Central or State Act in India; or any other educational Institution recognized as such or declared as deemed University under Section 3 of the University Grants Commission Act, 1956 or possess an equivalent qualification recognized by the Government. The Gujarat High Court has deemed it necessary that all of you aspiring candidates who are applying for the Gujarat High Court Assistant Recruitment 2018 must ensure that you satisfy the age limit requirement set by the GHC Recruitment 2018. Kindly glance at the Gujarat High Court Recruitment age limit provided below. We would like to inform all the candidates that their age will be considered as per their age in 14/07/2018. However the Gujarat High Court provides an array of Age relaxations policies for candidates who are reserved. The details for the same are provided below so kindly check it out and ensure your eligibility before applying for the Gujarat High Court Recruitment 2018. Candidates who desire the post of Assistant in the Gujarat High Court are required to appear for the Gujarat High Court Exam 2018. The candidates will be selected for allotment based on their performance in this GHC Exam. Be advised that this exam is the only means of selection performed by the Gujarat High Court. For Detailed information regarding the Gujarat High Court syllabus and Exam Pattern we would like to direct you towards our dedicated Gujarat high Court Recruitment Syllabus page. Furthermore any more details you require regarding the Gujarat High Court Selection Procedure can be found in the Gujarat High Court recruitment Notification 2018 pdf. A link for the same has been provided further along this article. We strongly recommend that you complete the Gujarat High Court Assistant Recruitment pdf download and read it carefully for in-depth information regarding the Gujarat High Court Selection Process. For further details regarding fee payment we would like you to visit the Gujarat High Court Recruitment Notification pdf. Candidates are highly advised that they read the official notification pdf before applying for the Gujarat High Court Assistant Recruitment 2018. This is because the Official Gujarat High Court Notification contains all the fine print i.e. minor details regarding the GHC Assistant Recruitment 2018. Candidates must ensure that they are eligible for the Gujarat High court Assistant vacancy before they apply for the Gujarat High Court Assistant Recruitment 2018. Once these details have been attended to you can then proceed to filling the Gujarat high Court Recruitment form accurately. Make sure that you take your time and fill the GHC Assistant form patiently ensuring that there are no errors. Make sure you have a scanned copy of your passport sized photo and a scanned copy of your signature due to the fact that these are both essential documents in the Gujarat High Court Assistant Application Process. If you don’t have scanned files of your photo and signature then you can visit your nearest cyber Café and get it done. Provided above are some of the major details regarding the GHC Assistant Application process. 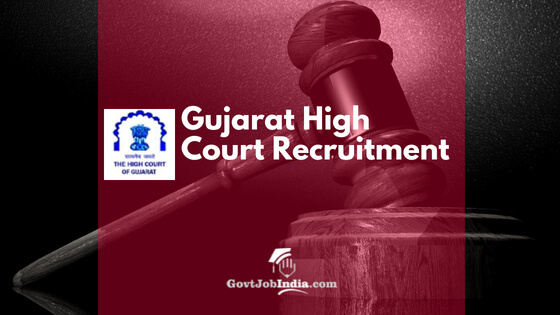 Therefore, for more details kindly visit the Official website of the Gujarat high Court or the Official Gujarat High court Assistant Recruitment Notification pdf. We hope that all the information regarding Gujarat High Court Recruitment 2018 provided in this article has been to your satisfaction. We hope the very best for you and wish more than anything that you get the job you desire in the Gujarat High Court. If you found this article useful the kindly share it with others who are also searching for government jobs in Gujarat. Also don’t forget to subscribe to our website and bookmark us on your favorite website for notifications regarding government jobs just like this one from every state in India.